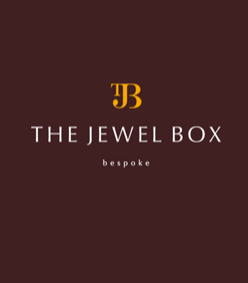 We are a private design house dedicated to bespoke jewellery and personalised service. We create extraordinary, one-of-a-kind, heirloom-quality pieces that translate individual life stories, achievements and dreams into a tangible form for posterity. Vision and imagination are the starting points of a journey that sees each and every piece hand-made by master craftsmen, using traditional and modern techniques and fashioned only from precious metals and the finest quality stones. Our reputation has, for over 30 years, been built on a bedrock of unwavering commitment to bringing together the best talent, sourcing, materials, manufacturing technology and trends from around the world. The coming together of distinctive design and magnificent craft is what makes the treasures of The Jewel Box inimitable. 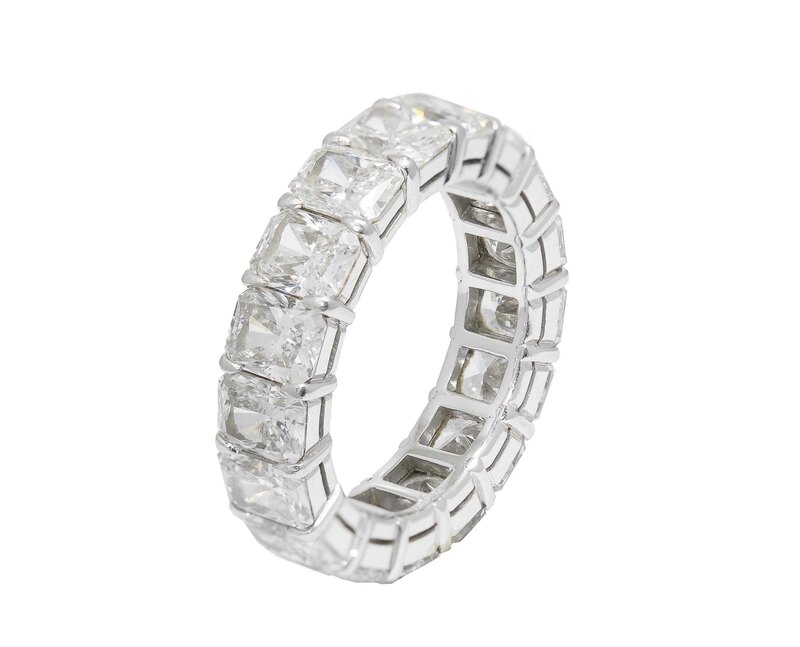 Radiant-cut Diamond Band In 18k White Gold. 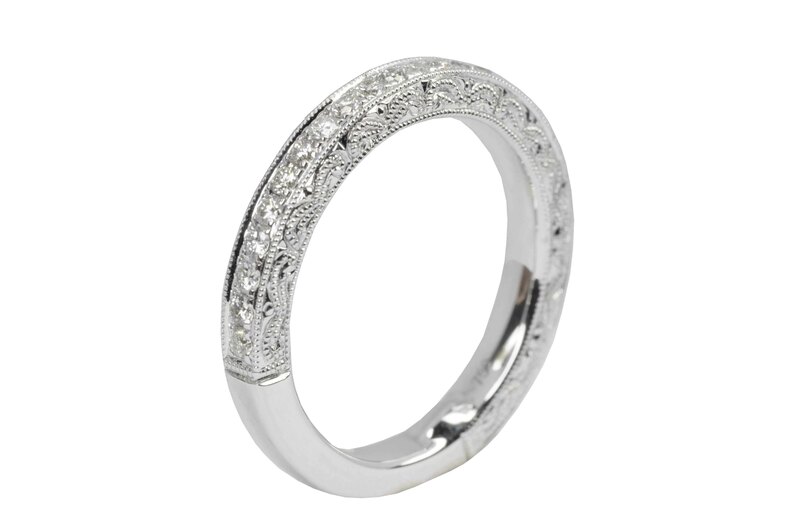 Vintage Style Diamond Band In 18k White Gold. 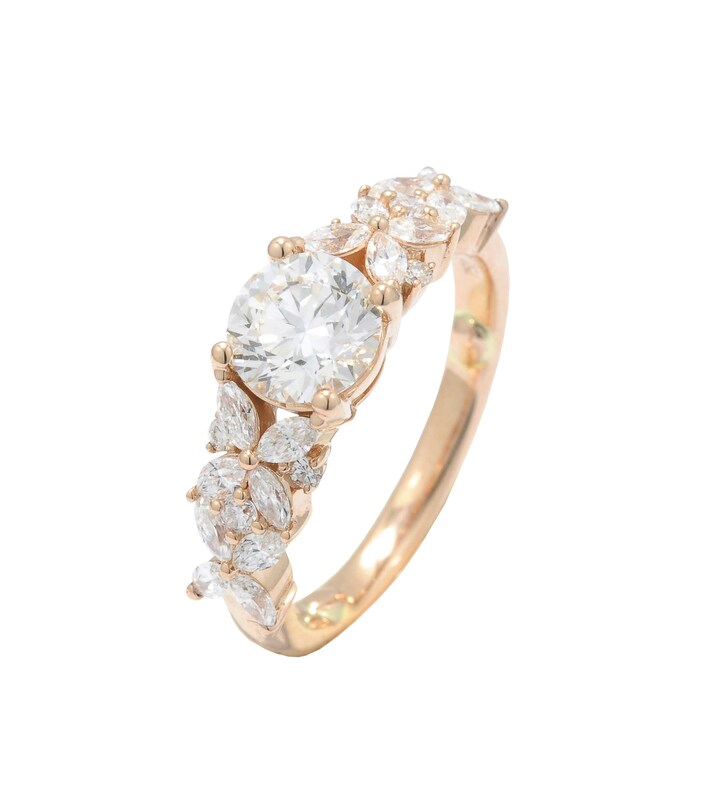 Fancy Shape Diamond Ring In 18k Rose Gold.